The LA teachers union, UTLA, has filed a complaint with the Public Employment Relations Board, accusing Alliance College-Ready Public Schools of interfering with the union’s right to organize teachers in the 26 Alliance schools. The complaint was filed Tuesday night with assertions that Alliance is prohibiting teachers from using their workplaces to meet with organizers and share information about unionizing. Efforts to unionize the charter school district were made public in mid-March when about 70 teachers with the newly-formed group, Alliance Educators United, announced their intention to form a union. Unionization requires approval from 50 percent-plus-one of the charter’s roughly 600 teachers. 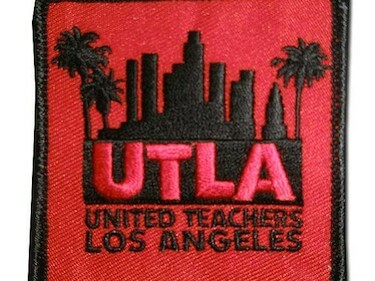 But UTLA’s effort is driving a wedge between some who favor the union and some who oppose. according to interviews yesterday before the complaint was filed. Alliance officials called the UTLA effort self-serving, saying working conditions and student performance at the district are already above par. The efforts to unionize will continue despite the administrators’ opposition, Goldbaum said. Goldbaum said a union of Alliance teachers would affect Alliance teachers only. While she expressed enthusiasm about her workplace, she said decisions about things like teacher evaluation and classroom technology are too top-down and teachers need more job security. She also said every effort has been made to stay transparent and provide teachers any information they want.